While the main theme of Fast ForWord Reading Level 2 is to develop the phonics, vocabulary, spelling, high frequency words and language skills required for reading fluency, it also strongly features analytical reading comprehension exercises aligned with Common Core State Standards. Fast ForWord Reading Level 2 consists of six exercises. 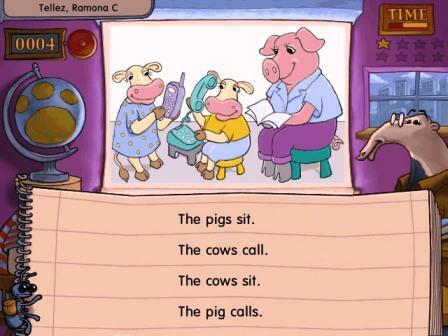 Students help the teacher by selecting the sentence that best describes the picture or parts of the picture. For each picture, four sentences or phrases are displayed on the notebook below. 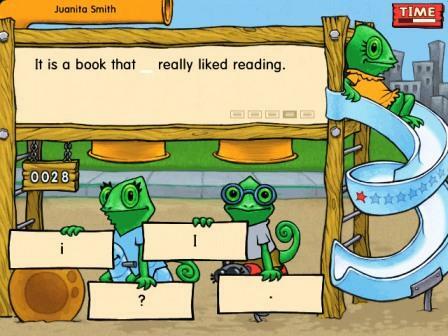 This forces children to think while reading, building analytical reading comprehension skills. 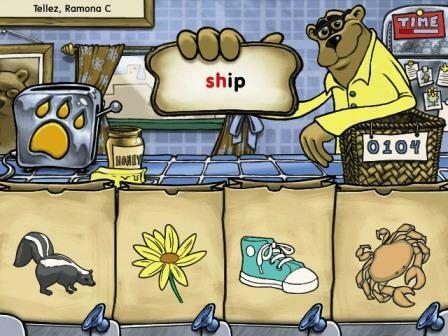 The student helps Papa Bear make more lunch by sorting the words into the appropriate phoneme based categories. The student must click the lunch bag with the same target sound as the word on the toast to sort the toast into the proper category. This exercise helps with phonemic awareness using high frequency decodable words. The student helps the game show contestants by listening to or reading a passage and answering comprehension questions relating to that passage. 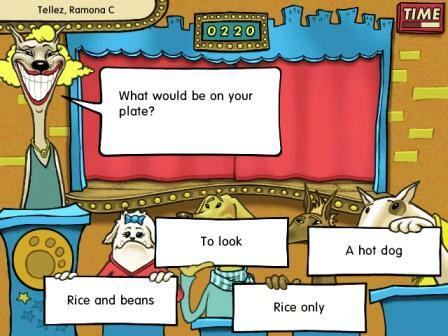 The dogs present four possible answers using grade 1-3 level of fiction and nonfiction passages. This is another reading comprehension exercise that goes beyond literal reading comprehension, requiring background thinking as aligned with Common Core State Standards. A target word is presented by the pelican. Then, a series of fish with words displayed on them fly across the screen. 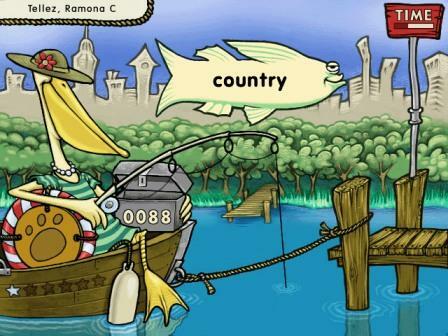 The student must click the fish with the word that matches the target word. This helps build high frequency word recognition and decoding skills, while also working on attention stamina, particularly by reducing impulsiveness. An incomplete sentence is displayed with four possible missing words. This helps vocabulary, sentence comprehension and analytical skills. The student helps the magician change one word into another by choosing the correct letters to spell the word. 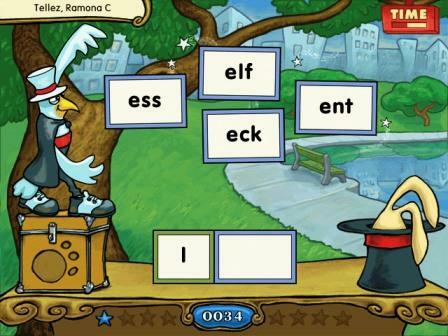 This is a spelling exercise that also develops sound-letter correspondence. Prior to Fast ForWord Reading Level 2, younger students will have completed Fast ForWord Reading Level 1. After Reading Level 2, some students will move to the much more challenging Fast ForWord Reading Level 3.